A 12-song album of original Contemporary Folk songs by singer-songwriter Holly Hanson and guitarist-songwriter Steve Hayes. Morgan Jahnig (Old Crow Medicine Show) accompanies Hanson and Hayes on upright bass on all 12 songs. 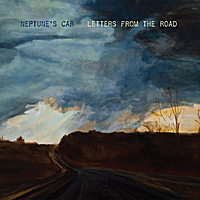 Two years after the release of their chart-topping debut album "Strawberry Moon," Neptune's Car (Holly Hanson and Steve Hayes) is back on the Contemporary Folk scene with their second album of all original songs titled "Letters from the Road." Morgan Jahnig (Old Crow Medicine Show) joins Hanson and Hayes on all 12 songs. Jahnig also recorded, mixed, mastered, and co-produced the album.